Simple swaps and recipes for a healthy cookout this summer. Today’s Monday Morsel is all about the summer cookout. Did you get the Monday Morsel today? Get on the list for tips like these delivered right to your inbox! Judging by the humid, 90 degree days and thunderstorms here in Atlanta, it appears that summer has arrived. With warmer weather and all of the graduation parties, bridal showers, and summer holidays on deck, you might be ready for your first cookout of the year. I know because I’ve been getting lots of questions about how to eat healthier at a BBQ. The short answer? Eat anything you want. It’s a party. Go and enjoy your friends and the food – cake included. Now, if you’re hitting a BBQ every weekend AND you want to maintain your waistline, you might want to look to something beyond burgers and hot dogs each time. My tried and true advice to get ahead of it is to eat your vegetables first and stay well hydrated while there. Double up on vegetables. Add twice the vegetables to salads and side dishes to boost the fiber while lowering total calories. Pump up the protein. Swap Greek yogurt for sour cream or mayo in pasta salads and dips for extra protein and calcium. Swap the brats. Swap hot dogs and regular sausage for chicken or turkey links. Check the meat case at your local supermarket for freshly ground and chicken and turkey sausages in different flavors. These are lower in calories and fat yet flavorful and satisfying. Plus they fit into a hot dog bun! You can also grill fish or veggie burgers to switch things up. Grill fruit. Instead of cake or cookies, throw some fruit on the grill for a sweet and smoky treat. Peaches, pineapples, and melons all hold up well. Add a drizzle of honey and nuts for a little something extra. 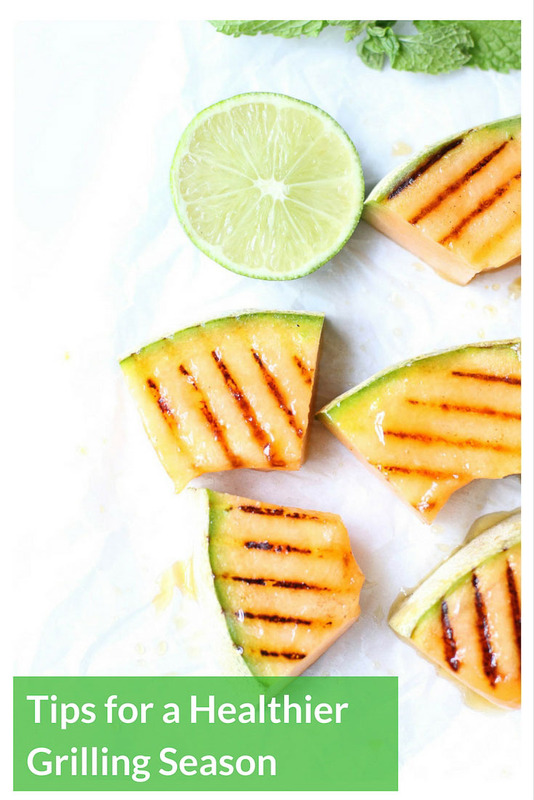 This Honey Lime Grilled Cantaloupe is a good place to start. Sip slim. If you like to enjoy an adult beverage at a cookout, that’s cool. Use fresh or frozen fruit for sweetness and a generous pour of club soda for a delicious drink with half the calories. This Frozen Mango Daiquiri shows you how. These are just a few ideas to help you get started. Your options are endless. 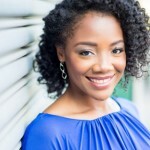 I actually spoke to Reader’s Digest about this very topic a couple weeks ago. You can check that out here. I hope these tips help you enjoy your next BBQ and the summer grilling season.